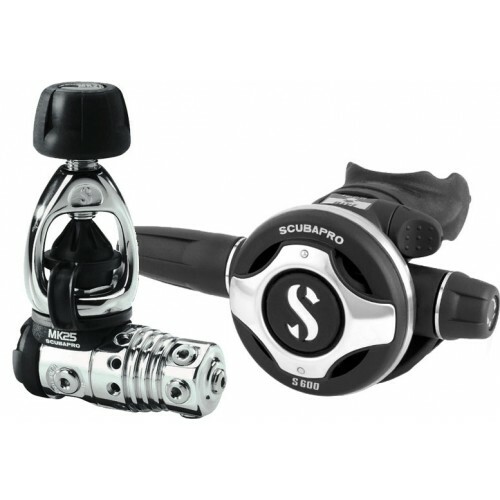 · Air balanced flow-through piston in a chrome-plated brass body provides constant and effortless airflow unaffected by depth, tank pressure, or breathing rate. · Patented XTIS (Extended Thermal Insulating System) fully isolates the mechanical elements from the cold, increasing freezing resistance 30 percent over the previous MK25 without compromising breathing performance. Key insulation system components are visible in blue. · New spring insulating coating, body insulating bushing, anti-freeze cap, bigger body and cap thread all work in concert with the XTIS to improve cold-water performance. 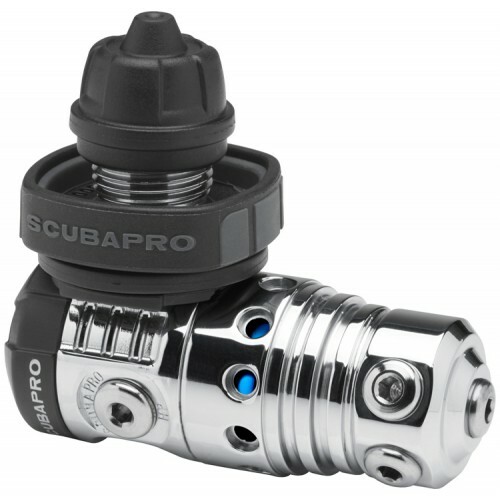 · Anti-freeze protection radically increases breathing reliability when diving in the most extreme water temperatures. · Two opposing high pressure ports allow the first stage to be positioned either up or down. · Five high-flow low pressure ports on a swivel turret maximize hose routing options. 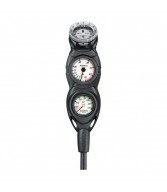 · External intermediate pressure adjustment enables technicians to fine-tune performance quickly and easily. · Available in either 3364psi/232bar INT or 4350psi/300bar DIN configurations. · Weight: INT 232 (oz/g): 27.9/790; DIN 300 (oz/g): 20.1/572. · Airflow at 2900psi/200bar: (l/min/SCFM): >8500/301. 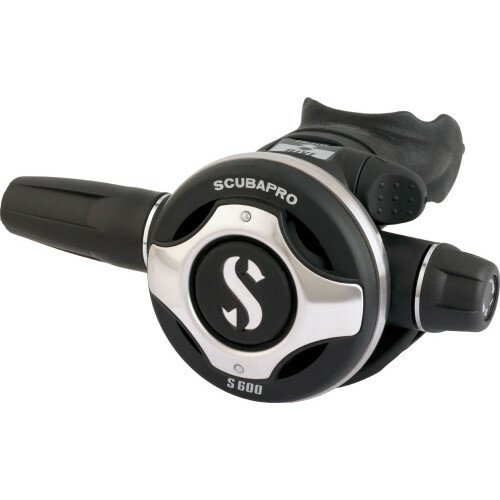 · Metal valve housing (barrel) is able to withstand years of aggressive diving. 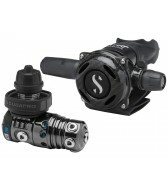 · Air-balanced valve smoothes out the inhalation effort when diving at varying depths and supply pressures. 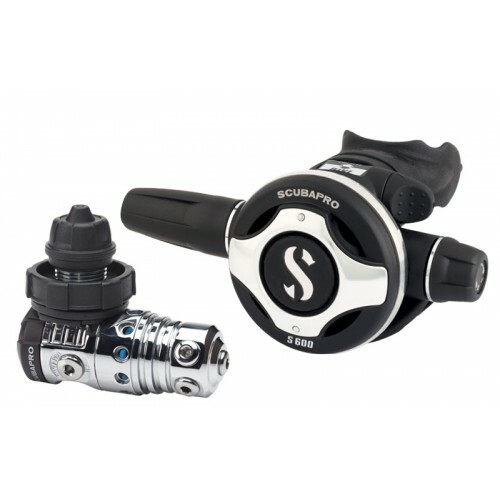 · User controls include a diver-adjustable inhalation effort knob and Venturi-Initiated Vacuum Assist (VIVA) dive/pre-dive switch. · Super-flow hose features an oversized bore (larger inside hose diameter) that allows more air to flow on each inhalation. · Ultra-comfortable orthodontic mouthpiece is easy to grip yet doesn't inhibit airflow. · Airflow at 2900psi/200bar: 1850 l/min - 66 SCFM. · Maximum low pressure: 203psi/14bar. · Interchangeable purge covers allow you to make your regulator truly unique. · Available purge cover colors: Blue, White, Yellow, Red, Pink.